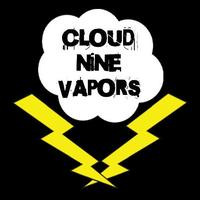 This profile was created by a company by the name of Cloud Nine Vapors. It is a very unique Flavor. When i found this flavor it ended up being my ADV for a year. Then the company that made it stopped selling juices so i decided to try and clone it. I think this is 99% cloned. The only reason i don't say 100% is because I don't have the original to test against. This is a Max VG mix because the original is a 90/10 so I make it that way. It is very good after 3 days so mix it up and enjoy. This recipe is the property of antjuice and released under the CC Attribution-NonCommercial-Sharealike 4.0 license. You may not copy, derive or commercialize this recipe without following the terms of this license or the explicit permission of the creator.